Cubic’s mission solutions business has secured a contract from the New Zealand ministry of defense to provide command and control systems to support land and special operations forces of the country. The company said Monday it will deliver command post computing equipment based on its M3X and DTECH M3-SE products to support a tactical networking project under the 12-year Network Enabled Army program. New Zealand's army intends to deploy modern systems for use in electronic warfare and C2, communications, computer, intelligence, surveillance and reconnaissance missions. Mike Twyman, president of Cubic's mission solutions business, said the company will build on its experience delivering Ground Antenna Transmit and Receive satellite terminals to the NEA program." 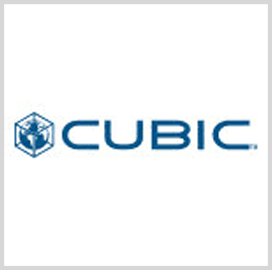 Mike Barthlow, vice president and general manager of rugged IoT solutions at Cubic, added the company invests in rugged computing, memory and storage platforms with modularity and communications interoperability features. Tasks under the multiple-award TNet contract will include additional hardware supply and technology insertion support.